Temperatures are on the rise and the heat is getting unbearable. The first thing most of us do when we get home from all that heat is switch on the AC and then go ahead and have something cool- be it chilled water, ice-cream or watermelon. As long as it is chilly, we feel that it is the best remedy to beat the heat right? Well, the next time you think about choosing the right food to eat, we suggest you opt for something spicy over chilly. If you are probably rolling your eyes reading this, there is some truth to what we are suggesting. Spicy food can actually help you cool down better than any “cooling” items. So, ditch your ice-cream addiction and go for something spicy this summer! How does spice help you cool down? Spicy foods just do not add taste to your meal. They contain an essential active ingredient in them, capsaicin, which acts as a natural trigger for your body. It raises the body’s inner temperature to match the one outside. This, in turn, makes the neural receptors present on the skin react and produce sweat. Sweating, as we know, is the body’s natural mechanism to cool down and get rid of the excess heat. According to scientists, this phenomenon is called “gustatory sweating” which helps your body cope with high temperatures. This also happens when you eat something spicy and feel your mouth “burning”. It ensures that the warmth spreads through the body and makes you sweat as you eat food. On the contrary, when you eat something like an ice-cream or chilled popsicle, it only provides relief for a little while. Cold food items can actually make you feel hotter than usual. There are people who have low tolerance for spicy food. Thus, you should always keep in mind your own personal preference and tolerance before you gobble up something so spicy, that you regret it later! Unless you really enjoy the taste of it, do not go for spices. 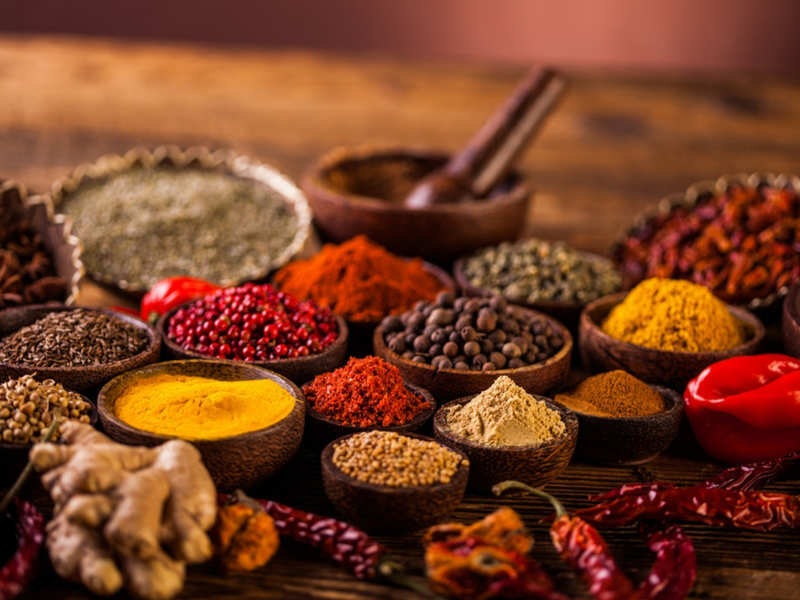 If you want to introduce spice to your palate, go slow and develop a taste for it. Also, always drink plenty of water through the season. Nothing works better in cooling you down through a heatwave than water. It will also help the body cope up with excess spice which you might have eaten.